Join us as we take a look into the stick frame stage of the newest project by Lily Development in Kensington. These 3 bedroom, 2.5 bathroom homes each feature 5 outdoor spaces (two front balconies, spacious patio, rear balcony, and stunning roof deck) and are a whopping 3,500 sq. ft. The properties are across from Konrad Square Park and just blocks from Frankford Avenue. We will return as soon as these properties are finished to show you the great touches that make this a true Lily home! 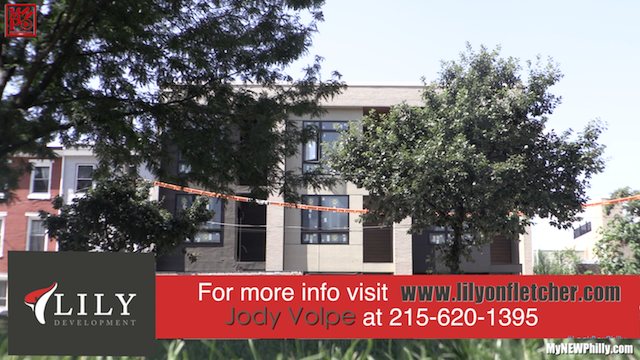 For more information visit www.lilyonfletcher.com or contact Ali Volpe at avolpe@lilydevelopment.com or 215-850-1791. Lily Development – Building beautiful homes in Philadelphia since 1999.